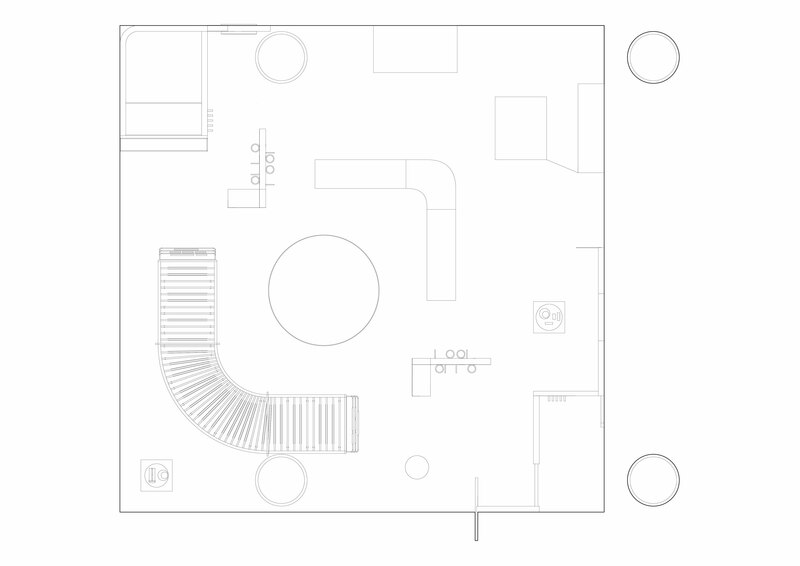 Experimentation was the core concept of this Seattle based project. 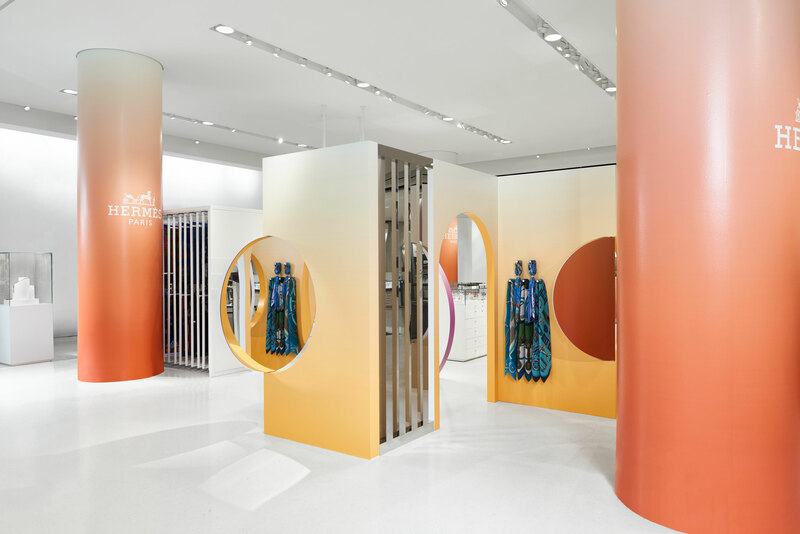 We challenged the consumer perspective by creating new ways to display product whilst integrating interactive moments throughout. 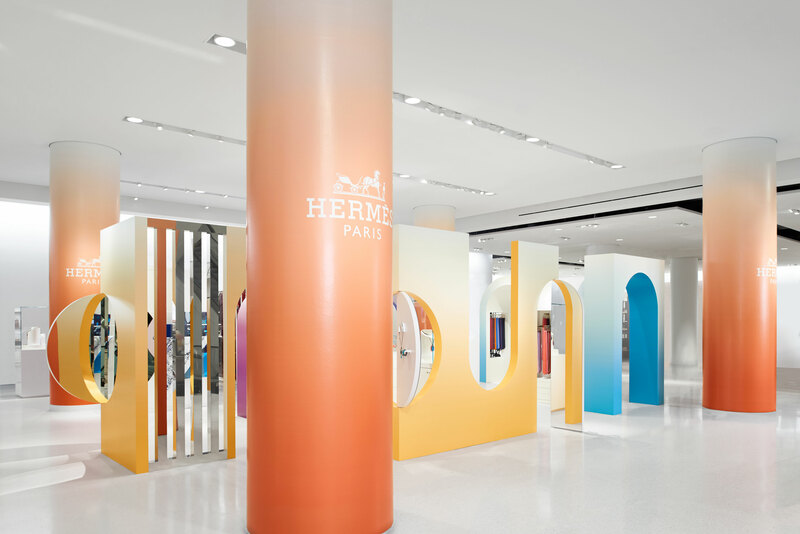 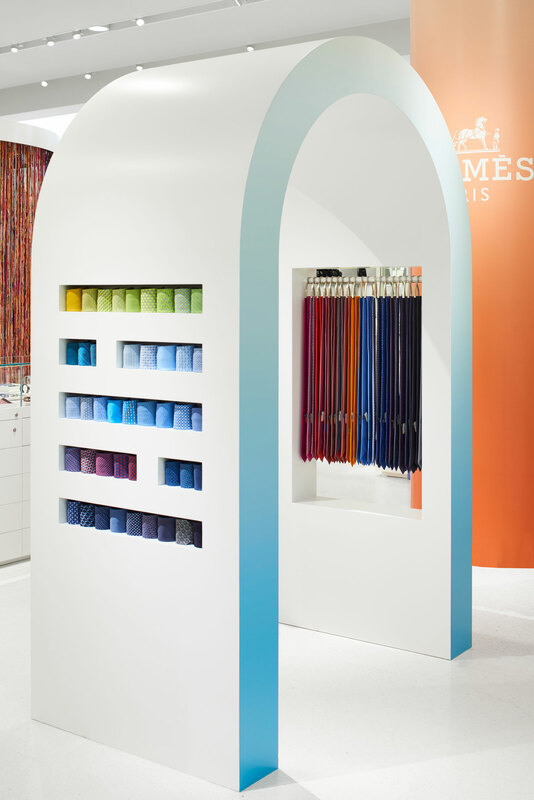 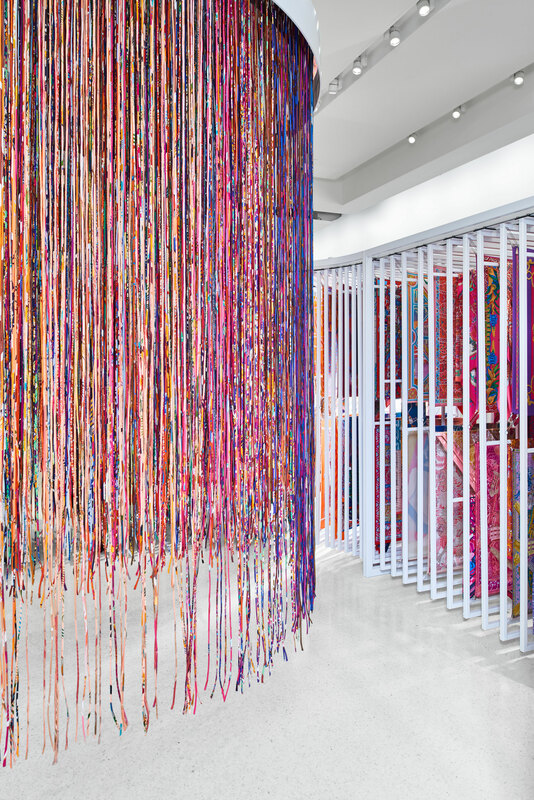 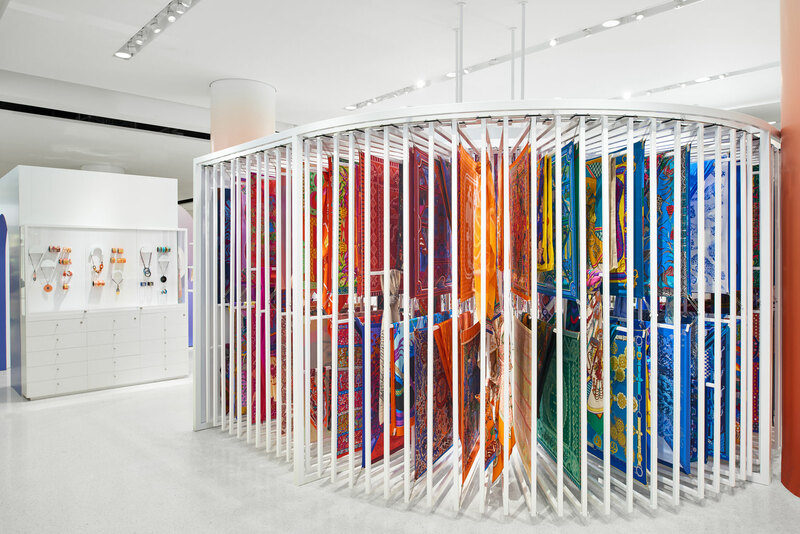 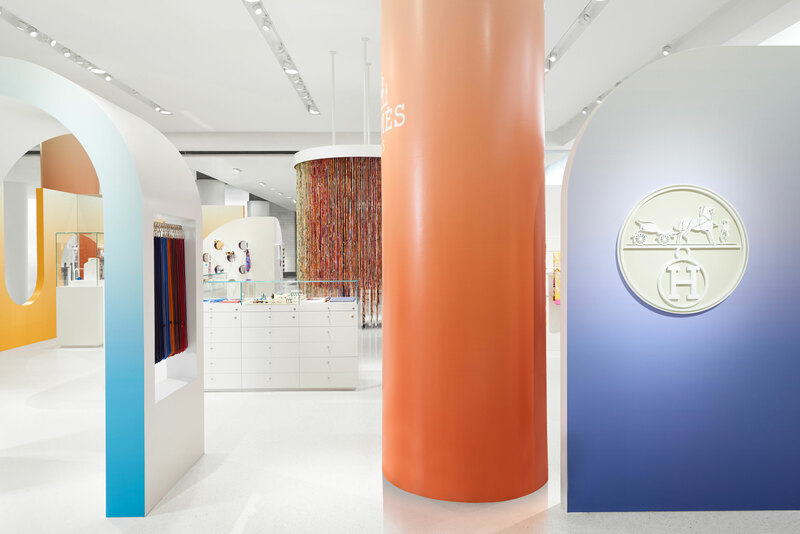 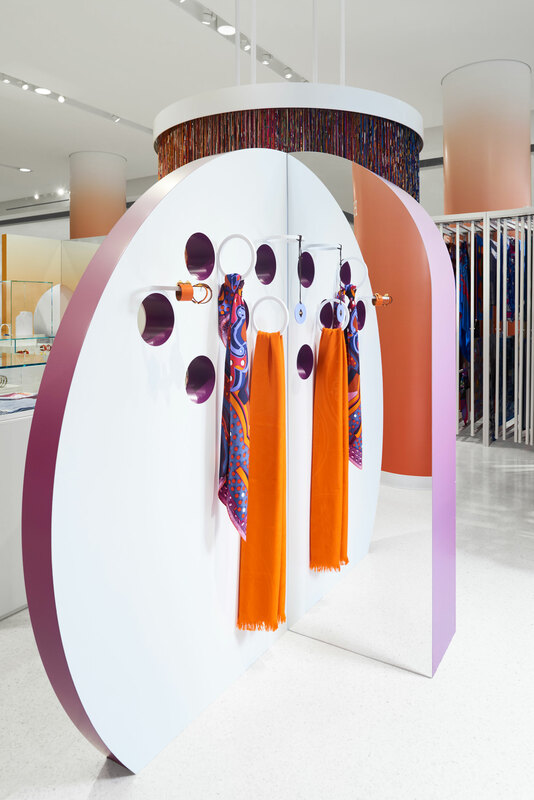 Adopting complementary hues from the collection allowed us to elevate the structures with colour, while leaving large expanses of white to showcase the Hermes silks and accessories. 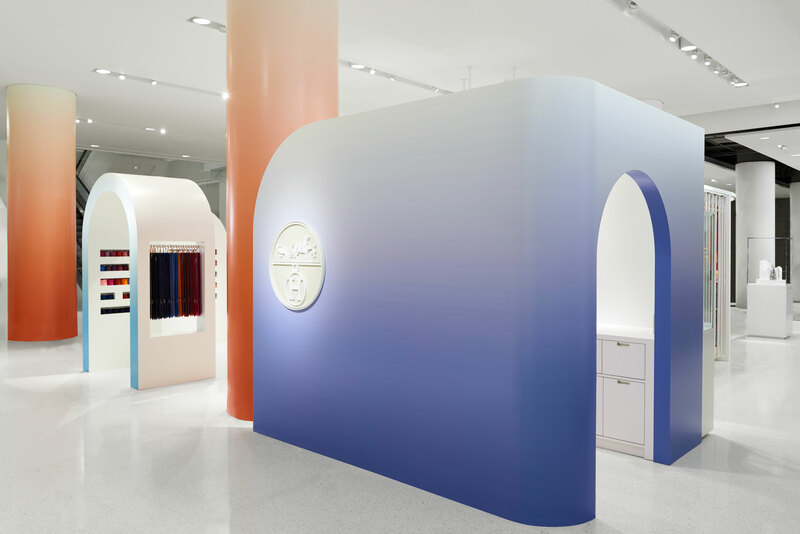 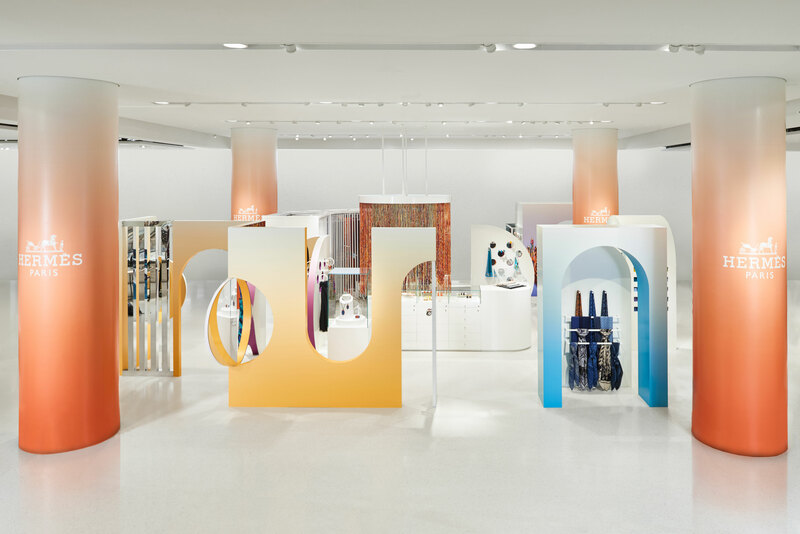 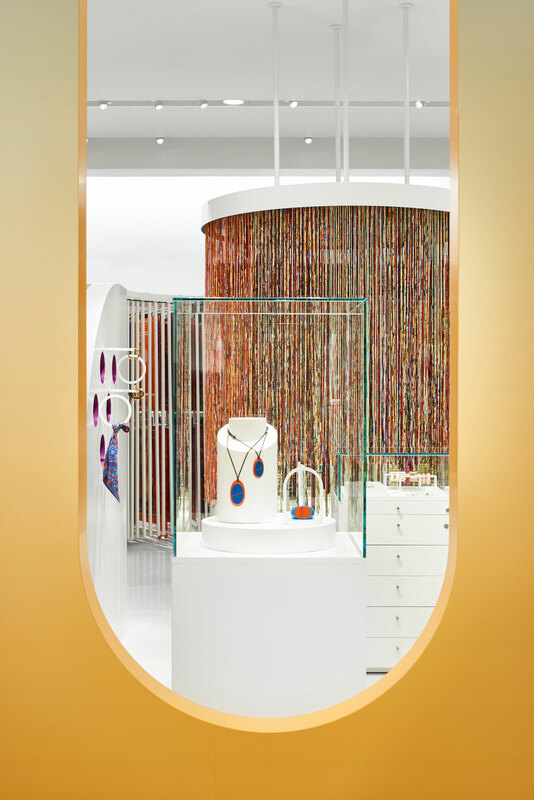 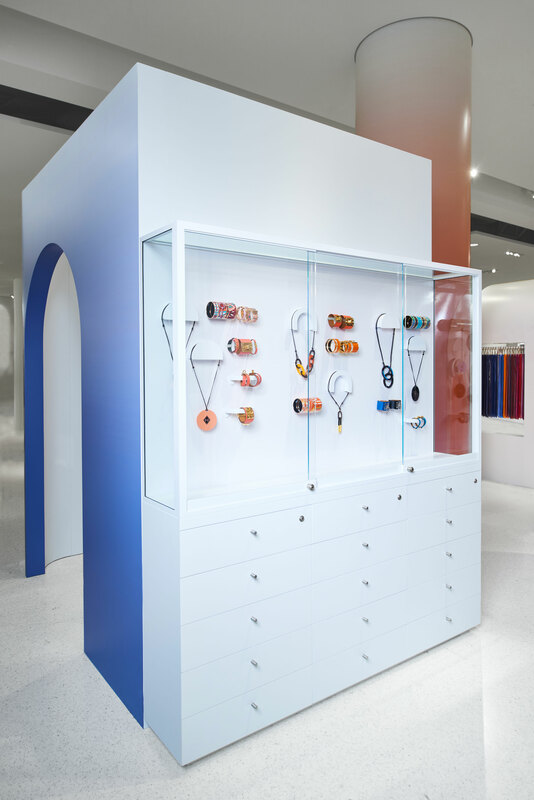 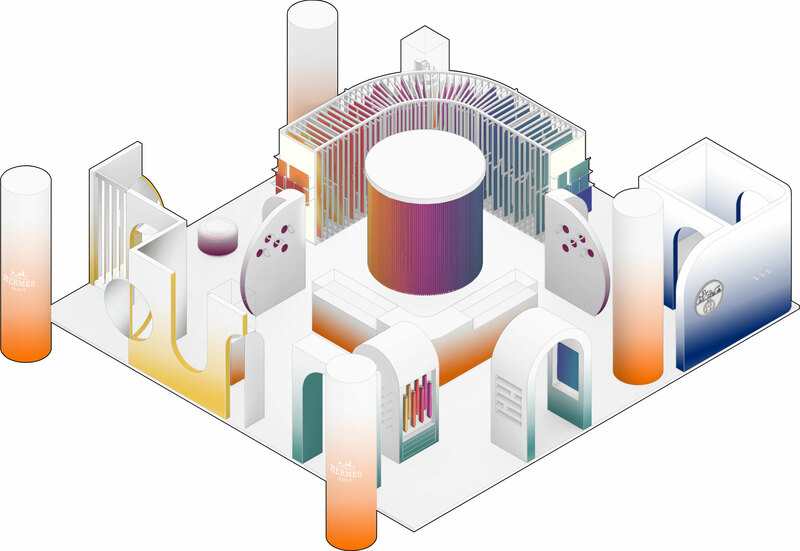 Diverting away from the typically rigid nature of retail through curved lines and cut-outs, we re-worked the traditional accessory display into new formations allowing the products to become sculptures in themselves.